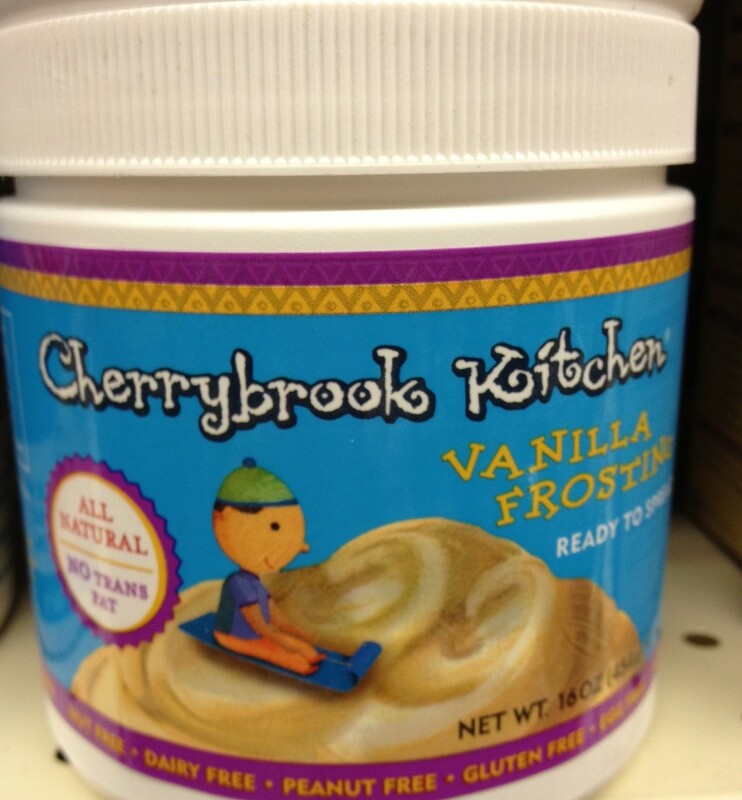 Accidentally Vegan: Vanilla Frosting from Cherrybrook Kitchen! Cherrybrook Kitchen makes foods specifically for people with food allergies. All of their cookies, frostings and mixes are egg-free, dairy-free, peanut-free, tree-nut free, and kosher! Their vanilla frosting is super rich and creamy… and it’s a great option for cakes at a peanut-free school. YUM! Thanks Cherrybrook Kitchen for making sweet treats that we can eat!